In recent weeks the topic of Polish-Lithuanian energy cooperation has returned. Consisting of the construction of an energy bridge and gas pipeline between Poland and Lithuania, the investment is strategic in nature, not only for the security of both countries, but more broadly for the Baltic states and the European Union itself. The project will contribute to the closing of the so-called Baltic Ring (an element common for the energy market, whose aim is to increase the transmission capacity of the Baltic Sea state), significant from the point of view of energy supply in this part of the EU. Recent events, and the possible consequences of the Ukrainian crisis, have once more raised questions about the condition of the energy security of both the EU and individual member states, as well as the EU’s capabilities in preventing the effects of interruptions in the supply of electricity and energy resources to its member states. The energy sector is of fundamental importance for international relations. This applies both to the impact of energy resources for the operation and development of individual states, as well as to determining their position and role in the international environment. In addition, there is a clear tendency of rising interdependence, which manifest itself in a relative sensitivity and vulnerability. Due to the limited production of energy from their own sources and the unbalanced structure of the energy suppliers, Poland and Lithuania are particularly vulnerable to the negative impulses coming from the global energy market. This is confirmed by indicators of import dependence of both countries in terms of crude oil (Poland: 100%; Lithuania 110%) and natural gas (Poland: 70%, Lithuania 100%). These are further enhanced by the actions of their primary supplier of natural gas, the Russian Federation, such as unforeseen interruptions in the supply of energy, or higher rates for supply of natural gas compared to other EU countries. This type of dependence is conditioned by the lack of infrastructure, which, in its current form, does not provide either party with the opportunity to balance the structure of the energy suppliers. This translates directly to the level of their energy security, and thus is the starting point to establish bilateral cooperation in this field. The main determinant of energy security both in Poland and in Lithuania is the lack of energy infrastructure. This results in the isolation of the energy system and transmission infrastructure linking the two countries (in varying degrees) with the countries of western Europe. This also means that EU member states do not have the opportunity to respond and support when energy supplies and electricity are interrupted. This is against the principle of energy solidarity promoted by the two countries. The aim of the EU’s energy policy is the construction and the smooth functioning of its internal market for electricity and natural gas. The main indicators here, apart from diversification of energy resources, are to ensure a constant supply of energy to the member states, as well as the development of trans-European energy networks for the transmission of natural gas and electricity. It should further be noted that the objectives of the two countries concerned coincide in this area. They both refer to the improving of the degree of energy independence through the implementation of measures aiming to diversify the routes, sources and energy carriers. This affects not only the energy security of Poland and Lithuania, but the entire EU. Thus, the implementation of energy policy of Poland and Lithuania comes down to a few postulates. First, steps should be taken to integrate their transmission system with the EU energy system. Secondly, take action to build a single energy market, including bilateral cooperation. Thirdly, projects which result in an increase in the share of non-Russian sources of energy supplies should be implemented. This is included in the assumptions of the EU in this regard, and refers to the elimination of regions isolated from the rest of the EU to which Poland and Lithuania belong, as well as Latvia and Estonia. Energy security of the European Union is contingent upon the condition of its weakest state in the analyzed sector. Thus, it is important to realize bottom-up initiatives that not only contribute to improving the energy security of individual states, but that primarily have an impact on the energy security of the entire European Union. From this point of view there are now two main investments of significant importance: energy bridges and construction of gas pipeline connections. In order to build power bridges, in 2008 a Polish-Lithuanian company LitPol Link was established; its aim was to prepare the technical design. The project was recognized by the European Commission as one of having strategic importance for the European Union; in 2011 it was granted 239 million euros (216 million euros for Poland and 23 million for Lithuania). In May 2014, work is about to start in the Lithuanian Alytus, while in Poland, it is going to cover the area from Elk to the border. The investment is to be completed by the end of 2015. The construction of power bridges is an element contributing to the development of trans-European energy networks, whose goal is to reduce the isolation of regions within the EU. This will result in strengthening the security of energy supplies. It should be noted that the connection will enable Poland to maintain its transit role, while Lithuania, as well as other Baltic states, will be capable of joining the European energy system (Continental European Network). The investment is also part of the European Commission’s Baltic Energy Market Interconnection Plan, adopted in July 2009 whose main goal is an end to the isolation of the Baltic states from the European energy market and the creation of the so-called Baltic ring that will connect the market of Lithuania, Latvia and Estonia to the European electricity network via Poland. The investment helps to strengthen the energy independence of Lithuania and Poland, and ensures the continuity of supply. The development of bilateral energy cooperation is further strengthened by the construction of a pipeline linking Poland and Lithuania. The parties responsible for the implementation of the investment is Gaz – System JSC and AB Lietuvos Dujos. The construction of a terminal for liquefied natural gas in Swinoujscie forces investment in new gas pipeline connections that would provide Poland with the possibility of re-selling the imported raw material. Even more significantly, the terminal will ensure regasification of 5 billion cubic meters of raw material, with the option to increase to 7.5 million cubic meters, while at the same time forcing Poland to seek markets. The Baltic Sea reservoir is small, therefore the construction of the LNG terminal in Swinoujscie makes plans to construct more terminals unprofitable. At the same time it can be concluded that the terminal in Swinoujscie may be an important element of energy security not only for Poland, but also for other countries of the Baltic Sea. The feasibility study has been completed: the Polish-Lithuanian gas pipeline connection has been categorized as an investment of strategic importance for the European Union, and thus has been included in the EU budget plan for 2014-2020. The realization of the project is dependent on the continued support of the European Commission. The aforementioned projects are part of the construction of a common energy market of the EU, and at the same time will increase the energy security of both countries. Internally, for Poland and Lithuania they allow elimination of the so-called energy islands and will provide an opportunity to enhance the structure of the electricity and natural gas suppliers. Regionally, the cooperation means the construction of a common EU energy market, and in the future will affect the ability to put into practice the energy solidarity mechanisms in case of interruptions to the supply. The construction of energy bridges and the building of energy pipeline connections should be carried out. Both investments are an important element in strengthening the energy security of Poland and Lithuania, as well as the European Union. The smooth functioning of inter-system connections provides the possibility of practical application of energy solidarity mechanisms in case of disruptions in both electricity and natural gas supply. In addition, the construction of the European Energy Community (a proposal of the European Union Parliament President Jerzy Buzek from 2011) and the concept of energy union proposed by Prime Minister Donald Tusk are not able to function in practice without providing inter-system connections. It should be noted that these proposals were supported by the Lithuanian side. Poland should continue to implement projects aimed at the development of transmission infrastructure and the elimination of ‘energy islands’ (e.g. in the northern part of the Warmia and Mazury province, Lubuskie, West Pomerania and Kuyavian-Pomerania). Measures to increase Poland’s energy security over the next two years should focus on expanding energy infrastructure, with particular emphasis on inter-system connections. 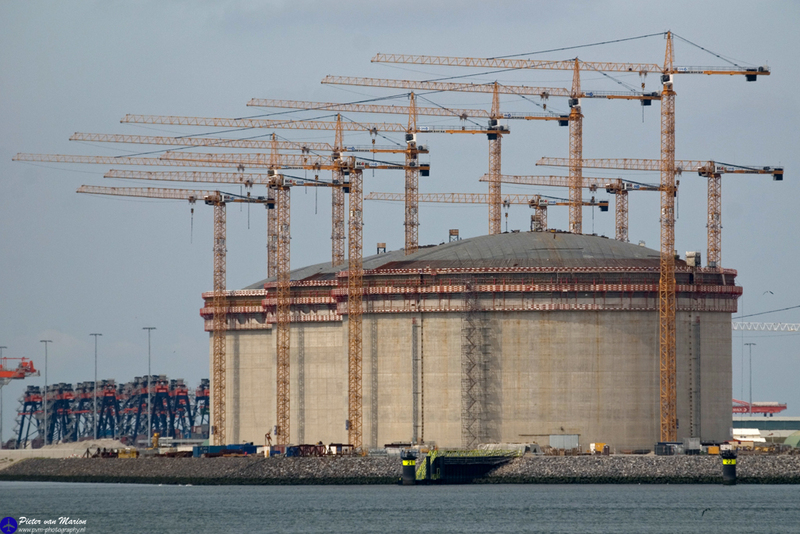 The project of construction of the LNG terminal in Swinoujscie necessitates seeking buyers of liquefied natural gas, mainly among the Central European countries (including the Czech Republic, Slovakia, Hungary) and the gradual development of transmission infrastructure in the indicated directions. The EU should continue to support grassroots initiatives of the member states within their territory in the area of expanding energy infrastructure: the inter-system connections, development of transmission infrastructure (including reverses), the construction of delivery points and expansion of storage capacity. Supporting trans-European energy network projects remains crucial for the creation of a common energy market. It is a condition for the functioning of the energy market and practical application of the mechanisms of energy solidarity. Next to theoretical concepts it is dependent on the existence of an extensive, well-functioning energy transmission as well as network of gas transmission infrastructure that will ensure realization of goals. The European Commission should grant funding for the implementation of a gas pipeline between Poland and Lithuania, because it is an important element to create a common energy market.